Saying “you haven’t seen anything like this” is an understatement. This may not be for the casual moviegoer, as it’s a tad out there, but for the “looks-a-bit-past-the-surface” movie buff, it will surely grab your attention and make you wish you could see it right this instant. 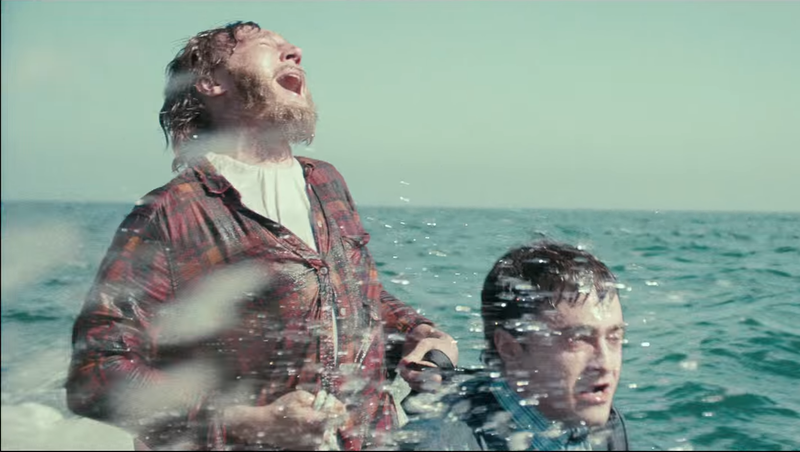 Starring Paul Dano (Little Miss Sunshine, Love & Mercy) as a castaway on a deserted island about to give up, and Daniel Radcliffe (Harry Potter, The Woman In Black) as a corpse that washes up on the beach—giving him a companion (think Tom Hanks’ “Wilson” in Castaway)—and reigniting his desire to make it home, A24’s latest indie-comedy/deranged fantasy, Swiss Army Man looks to be an unforgettable watch. To add to the head-scratching, the movie’s also scored by Manchester Orchestra. This reminds me of reading an introspective book where the character is losing their mind and wondering how that inner psychosis could be translated to film in an effective way. These directors (Dan Kwan, Daniel Scheinert) seem to have nailed it in a new, fresh and farty way (Radcliffe’s corpse is intensely gassy throughout the entire trailer). The film is due out on June 17 and is sure to be one of the more talked about films of the summer. Check out the trailer below and let us know how you feel about it!